Booker Taliferro Washington, was born in Hale’s Ford, Virginia, somewhere around April 5, 1856. Like most slaves, exact records were not kept on his birth. His mother was an enslaved African-American woman named Jane, who worked on the James Burrough plantation, in southwest, Virginia , the identity of Booker’s father is unknown, but he was believed to be a white man who worked on a nearby plantation. When Booker was 9, he and his family gained their freedom, in 1865, under the Emancipation Proclamation, when the union troops occupied their region in Virginia. 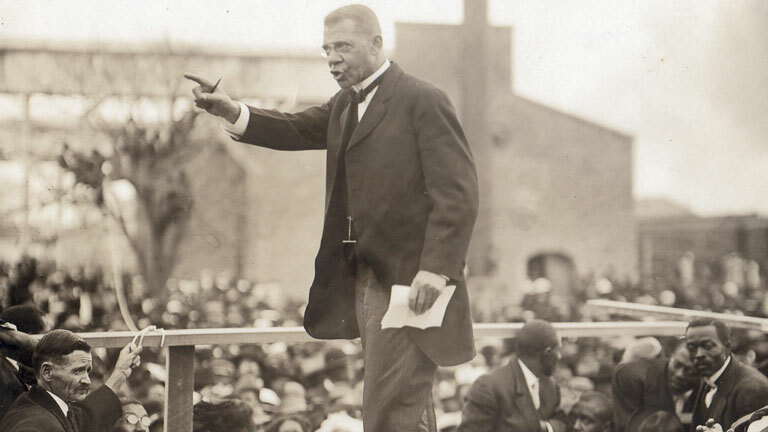 Booker T. Washington worked several jobs, including working as a coal miner in West Virginia to earn money to pay for school, eventually he would attend Hampton Institute and Wayland seminary. 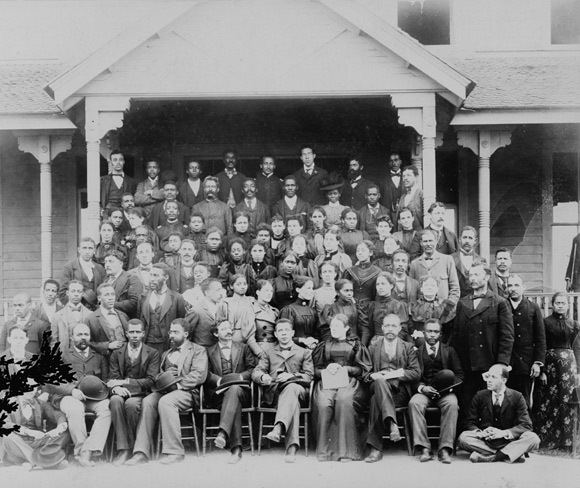 In 1881 the Samuel C. Armstrong, the head of Hampton Institute , recommended Washington for the principal job, at the Tuskegee Institute, in Alabama. Washington would get married three times, Washington was married to Fannie N. Smith from 1882-1884, when she died. Washington then married Olivia A. Davidson from 1886 to her death in1889, his last marriage would be to Margaret James Murry from 1893 to his death in 1915. Washington would have three children from the first two marriages : Portia, Ernest and Booker T. Washington jr. In 1895 , as lynchings of African-Americans, by racist whites were on the rise in the South, Washington gave a speech, now known as the “Atlanta Compromise” , which brought him into the national spotlight. In the speech he encouraged African-Americans to uplift themselves through education and entrepreneurship, rather than challenging Jim Crow segregation laws in the south, which at the time, would of been a death sentence for any African-American, challenging white supremacy. Washington advocated for blacks to take the “Go Slow” approach to avoid a harsh and violent backlash from racist whites, which was very frequent in the south at the time. At the time the government gave a very small amount of money to African-American schools, so a lot of money for African-American schools came from rich white philanthropists. Washington would build relationships with some of those rich white people to help fund educational programs to help the progression of the African-American community, through higher education . Washington would die on November 14, 1915, at the age of 59. Despite his hardwork for the African-American people, all across the nation, he would remain the principal at Tuskegee, until the day he died. Thank you for this post! I never knew what the “T” stood for…now I know!